Editor’s note: To misquote the late US founding father Mr Benjamin Franklin, there are only three absolute certainties in life: death, taxes, and the incredibly high quality-to-value ratio of the Seiko Prospex collection. Had Seiko been around during his time I’m sure my version of his famous words wouldn’t be too far off the mark. But I digress. This year at Baselworld the Japanese brand expanded the ever-popular Prospex range, calling on one of their most important historical designs and revamping it for the modern wrist. It’s safe to say that I may fear death and the tax office, but I’ll always have a soft spot for Seiko. Seiko have again released a duo of modern re-interpretations of one of their OG dive watches – the Seiko 6159. 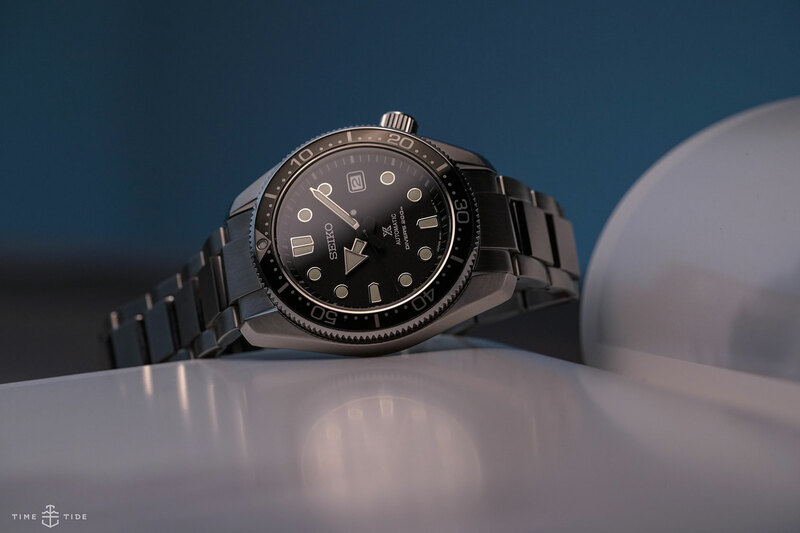 Sitting alongside the modern re-creation – the newly released SLA025, which was also just revealed here at Baselworld 2018 – the pair echo the original design of Seiko’s first hi-beat diver but wrap it up in a slightly more contemporary package. Available in two variants, the cases are thinner and hark back to the design of the original, except now they have a screw-in case-back and measure 44mm across and 13.1mm thick. They’re also joined by thinner bezels, with black for the SPB077, and blue for the SPB079. 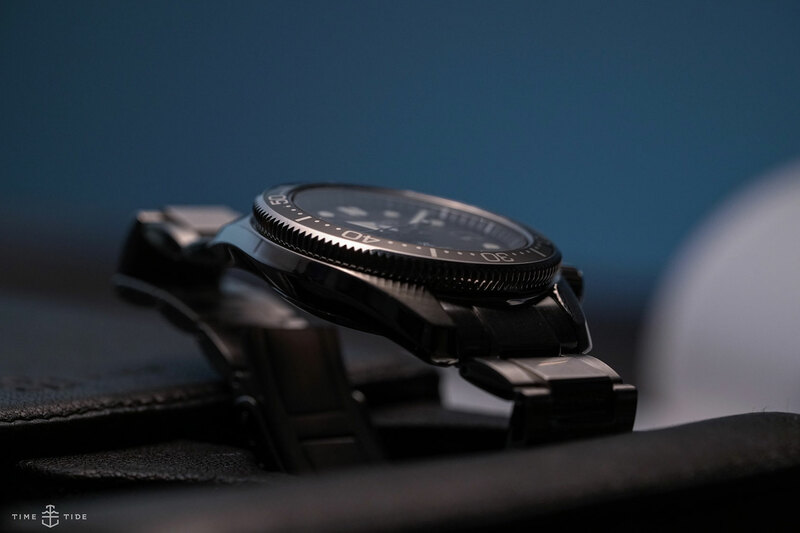 The black dials have highlights of silver – instead of the original’s gold – and slightly redesigned hour markers, as well as a set of modern-day Seiko arrow hands and the Prospex logo printed in the lower half of the dial. Both are water resistant to 200m and feature a Seiko 6R15 movement with a power reserve of 50 hours. And if you’re a fan of steel bracelets you’ll have to opt for the black bezel SPB077, which is the model we’re focusing on here. It captures the essence of the original Seiko hi-beat diver, but with more modern appeal. And it shows as soon as you strap one to your wrist. With the slimmer profile sitting flat and making for a design that is the best of both worlds. Anyone not lucky enough to get their hands on the pitch-perfect SLA025 modern re-creation. What a difference a few less millimetres of thickness makes on the wrist. 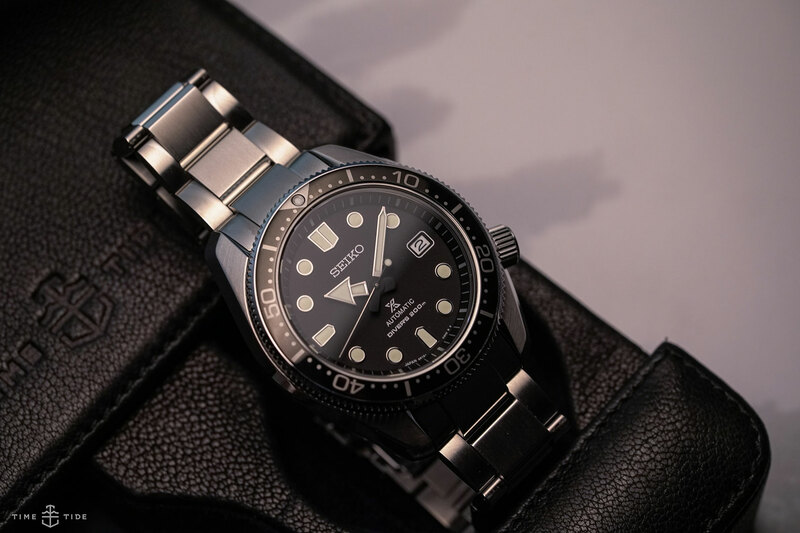 The Seiko 1968 Automatic Divers Modern Re-interpretation, $1600 for the SPB077 on steel, $1200 for the SPB079 on rubber.